Welcome to Hippo Pools, leading specialists in gunite swimming pools. We also offer a range of fibreglass pools and perform professional refurbishment services of all pools. Hippo Pools has been operational for over 30 years and is continually striving to provide a competitive price to ensure you receive value for money. 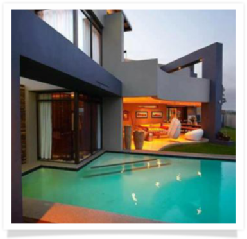 Our experienced Design Consultants will guide you in selecting the right design pool to suit your lifestyle. 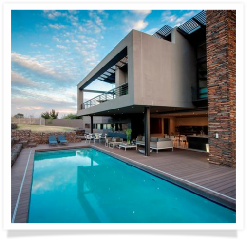 Hippo Pools are proud members of the National Spa and Pool Institute of South Africa and are bound by a code of conduct, giving you total peace of mind that you are dealing with a reputable and professional company. We offer a full range of gunite pools customised to the shape, depth and design of your preference. We also have a portfolio of fibre glass swimming pools to satisfy all your needs. 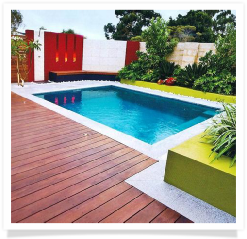 The fibre glass swimming pool range extends from a comprehensive courtyard collection, for those small areas, up to the larger ranges of fibre glass swimming pools - your choices are endless.